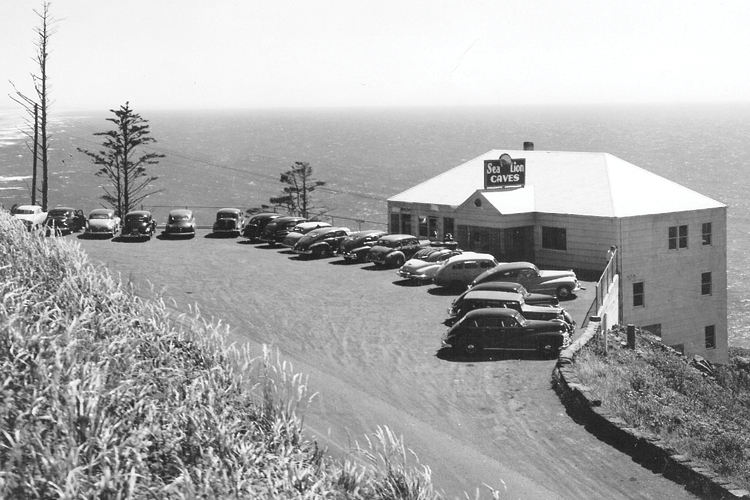 This photo was taken in the late 1940s and the Sea Lion Caves still remains a popular roadside Oregon Coast attraction today. The Sea Lion Caves have been entertaining visitors since 1932, but the history of this attraction goes back even further. A large sea cave was found in 1880 by a local seaman, Captain William Cox, who entered the grotto in a small boat. He explored the cave a number of times and, on one occasion, was marooned for several days because of stormy weather. He reportedly sustained himself by shooting a young sea lion and eating the meat of its flippers. 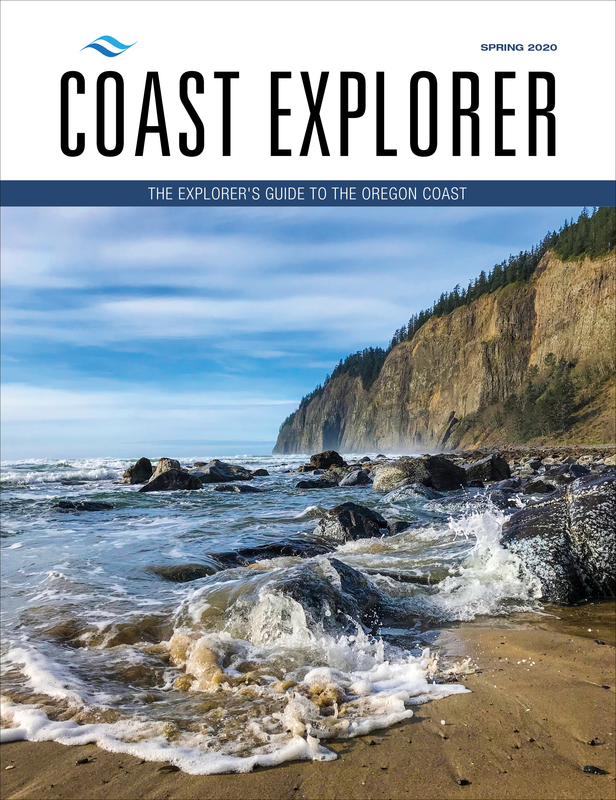 Regardless of the incident's authenticity, it is established that Captain Cox purchased the land in 1887 from the State of Oregon. 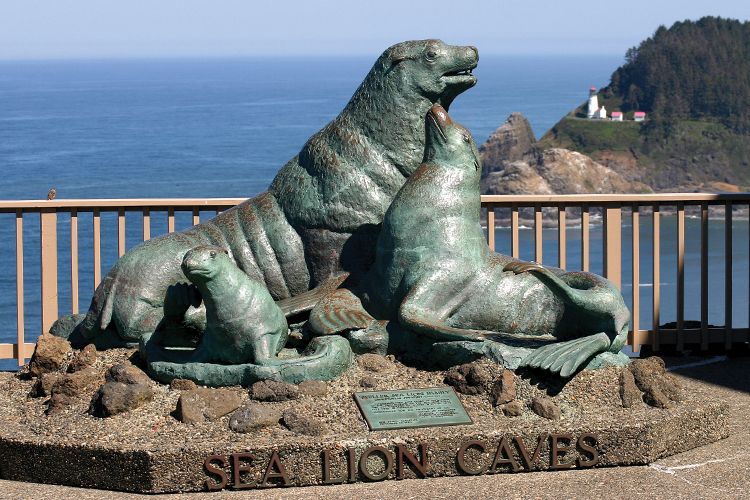 Sea Lion Caves' more recent history as a tourist attraction began in 1927 when R.E. Clinton acquired the hillside above for the specific intention of opening the caves as a business. 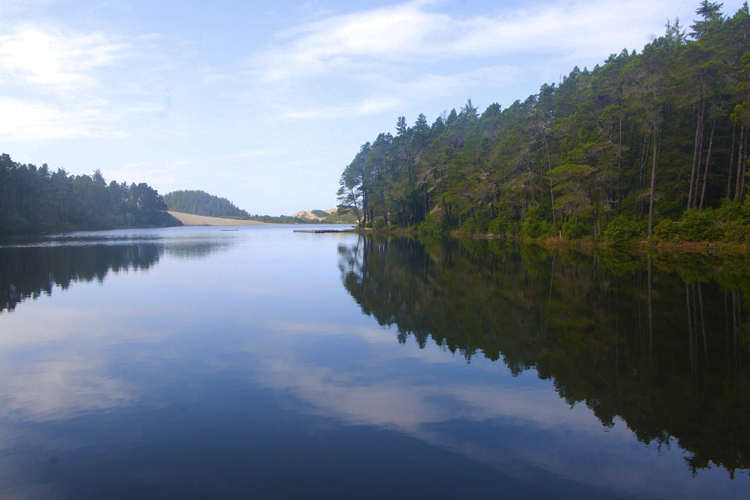 Once it was determined that the new coast road, US 101, would go past the site, Clanton and two other business partners decided to take the financial risk and construct safe access to the cave. A 1500-foot long trail was excavated by hand into the face of the cliff. At the bottom, a 135-step wooden tower was extended down to the north entrance of the caves. Despite the difficulty and danger of the construction, the trail and stairs provided safe access for visitors and the Sea Lion Caves opened to the public in August 1932.